Louisa Boren STEM K-8 has a vibrant, active PTA that plays an integral role in our school community. The PTA is dedicated to partnering with our school to foster an engaging and innovative learning environment for our children. Without the vital participation of STEM families and friends, few of the things that you love at STEM would be possible. Project Based Learning, enrichment activities, materials for Next Gen Science learning, and much much more happen in conjunction with PTA support. Individual PTA Membership is $15 per year. Become a STEM K-8 PTA member here. Members have the opportunity to vote on the STEM PTA budget, resolutions and the election of the Executive Board. Individual membership also includes membership in the Washington State PTA. All members are encouraged to attend PTA meetings, join committees, volunteer and attend events. Our goal is to have every student represented on the PTA. We urge you to join however you can! 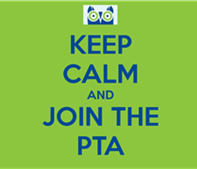 Please email the PTA Secretary secretary@stemk8pta.org with questions about membership.